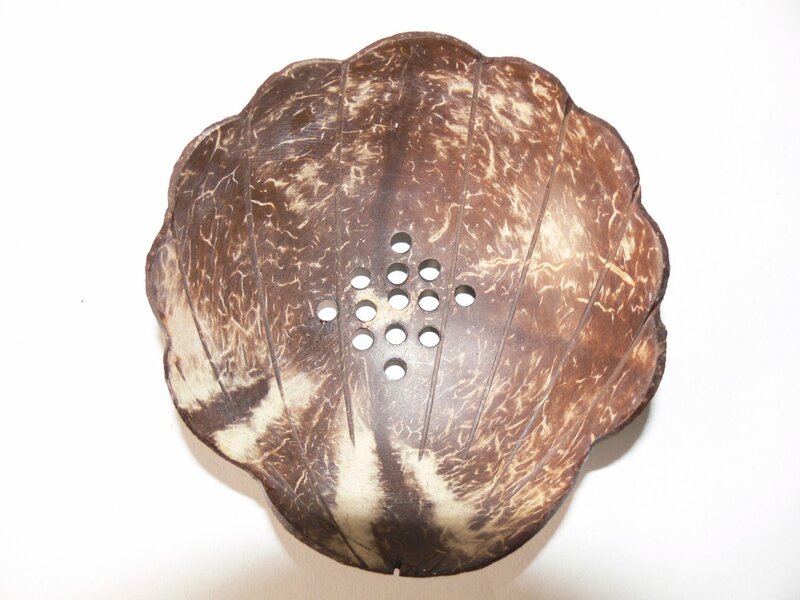 This is Beautiful spa and unique handicraft handmade soap dish from authentic coconut shell with 3 stands . It's craved as Shell, very very beautiful and gorgeous. It's high quality and unvarnished. The shine comes from polishing. It can be used as soap dish, candle holder, cup holder or for decoration. It's very beautiful gift for anyone. Don't miss it.